The changing face of business over the years has been quite interesting. There were days when production and profit making were main priorities for any company. Over the years, companies have realised that there are other driving forces that build a great company. 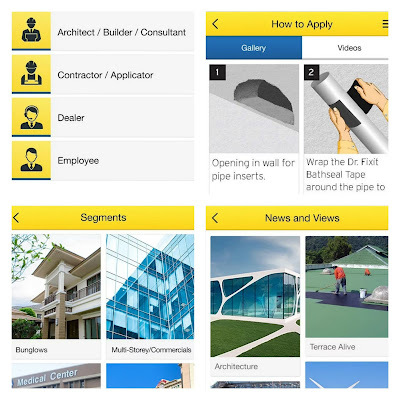 In the construction industry, specifically, architects, builders, consultants, contractors, dealers and corporate office employees form a part of the stakeholders and are the main pillars. Today, it’s their welfare that needs to be of utmost importance for the business to grow in the long run. 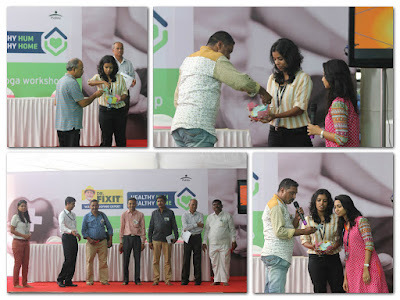 I was invited and was happy to be a part of Pidilite Industries event called ‘Healthy Hum Healthy Home’. Pidilite Industries jointly shares the dream to create a leak-free, damp-free India. This event was designed for the Loyal contractor base of Dr. Fixit & Roff. People working on construction sites are prone to numerous health risks while they are on the job on a daily basis. Right from injuries due to mishandling machinery to respiratory infections due to construction material used. The chances of an unfortunate accident is often high if one is not well informed of the safety guidelines that are required to be followed by every worker. The agenda of this event was to tackle all such problems and ensure that every worker is well aware of the safety rules to follow on-site and also to ensure health and fitness is never ignored and given its due importance regularly. 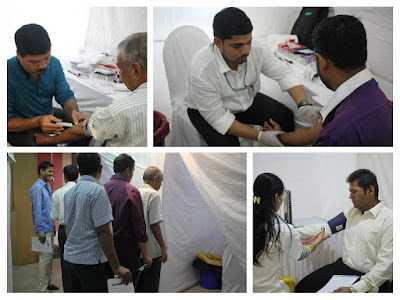 Thus, Pidilite arranged for a health camp which included a full body check-up for everyone working at the construction site from the contractors to applicators. This was accompanied by a good distress yoga session to stay fit by a yoga expert. Registration started at 9 am and the participants seemed excited and eager to learn what was in store for them. After getting in employee can have one on one session with Tech help desk for solving your any queries and other problems. The tech desks at the venue helped the attendees to get to know about the days agenda in depth. The next stage was a medical check-up. If the medical inspector detected a respiratory disorder then the individual would have to take a thorough check –up and later on detailed reports were shared. It was then time to lighten up with some snacks and fun activity that involved a lucky draw. 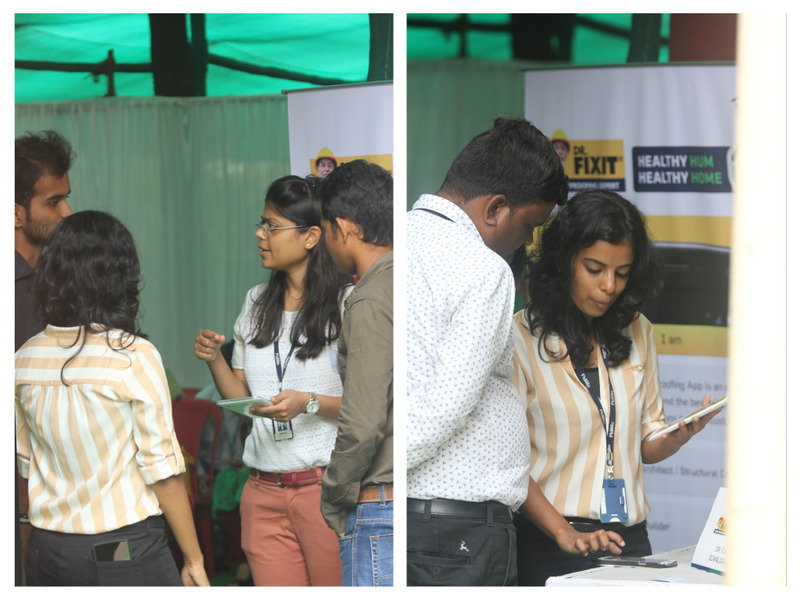 One of the main highlights of the event was the unveiling of the Dr. Fixit Mobile App. Details coming up later on in the post. What followed was the distress yoga session that was carried out by an expert. 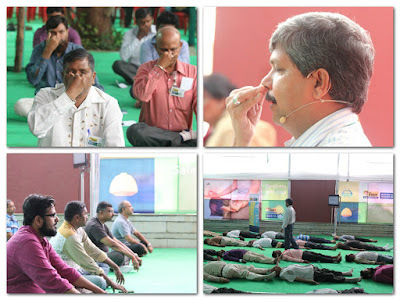 They were taught exercises which they could perform on a daily basis which will help improve their lifestyle to a great extent.This was really interesting since I believe yoga could do wonders for every individual. The next session focused on safety and was hosted by Mr Hemant Kadu, Cluster EHS Manager, L&T. He stressed on how one’s personal attention and precaution measures can help prevent major accidents. To instil the importance of fitness, health and safety precautions the speaker made sure that various instances and statistics were shared with the audience in the form of videos and snapshots so as to be easily understood. 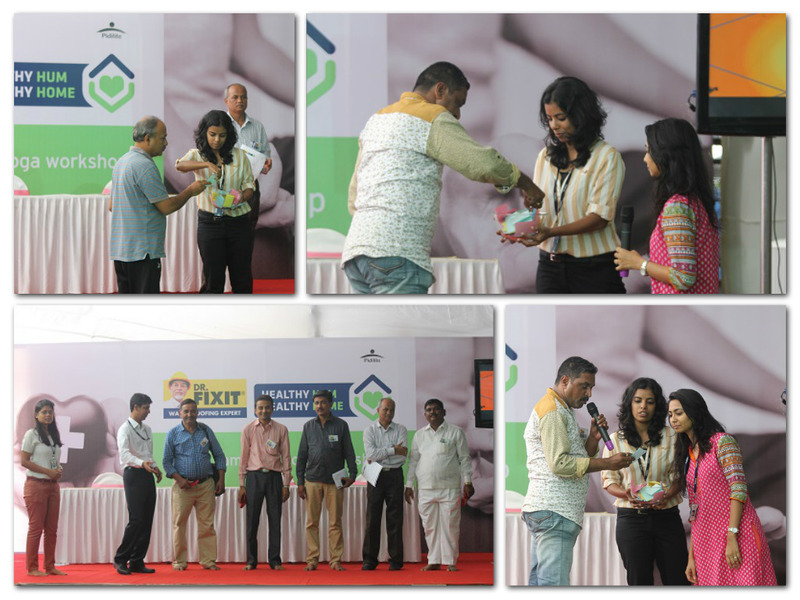 The event concluded with a lucky draw and goodies were shared with all the attendees. It’s certainly one-of-a-kind and should prove to be very helpful. You can download this application from Google Play Store for free, search for Dr.Fixit. The app has some really interesting and informative videos. A dedicated section for news and views ensures that everyone is up to date with new offerings and current trends. You can also build plans with set budgets as suggested by the company. There’s no need to break your head searching for a dealer, the app does all of this for you. The event turned out to be a good learning experience. 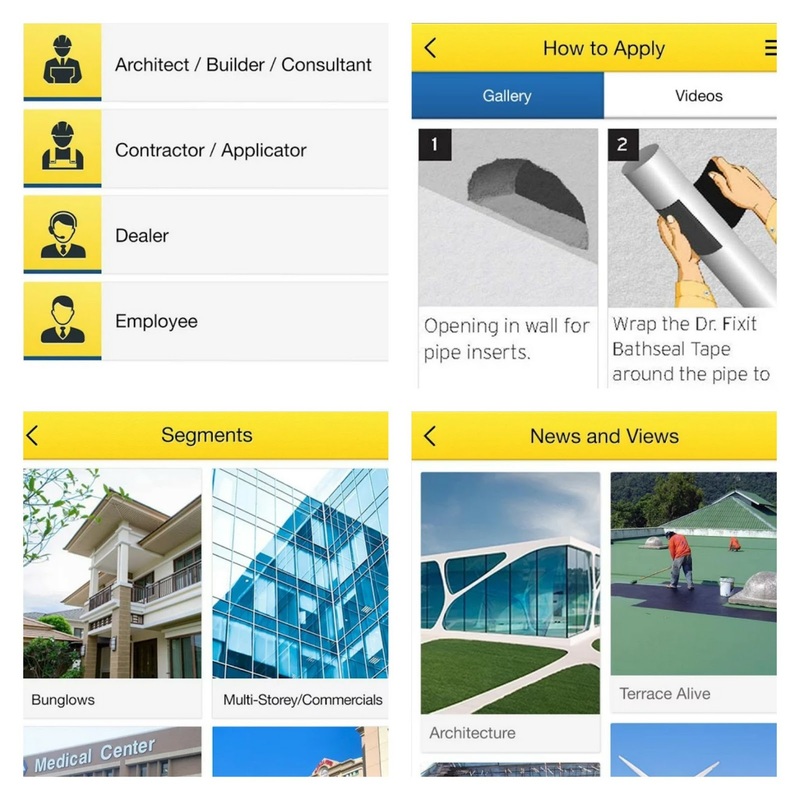 It’s nice to see that Pidilite cares for various stakeholders of the construction industry. So here are all updates. Do stay tuned for more. If in case you have any query, please comment below. Thanks for reading.